Santoori has embarked on its challenge of compiling unknown music/sounds from different regions of Iran. The first part of the challenge is to arrange recordings with musicians, who are from the older generations of this tradition. After getting in contact in order to arrange a recording with the one and only master of the Tanbour, Ostad Taher Yarveysi, Santoori was saddened by the news of Ostad’s illness and as a result decided to initiate the YARVEYSI TANBOUR PROJECT to offer help and assistance to the Ostad's health and lifestyle. 3. Creating a platform through Santoori.com to sell Tanbours made by Ostad Taher Yarveysi for his publications*. 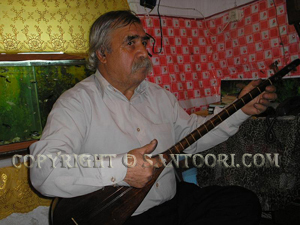 *50% of any purchase (in 2012) of a tanbour made by Ostad Taher will go directly to him. 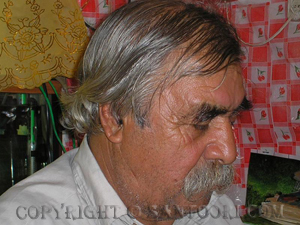 Taher Yarveysi was born in 1940 in Gahvare city in the Kermanshah province. During his early childhood he began to learn the tanbour maqams from his first master the legendary Tanbour player and maker, Changiz Farmani (Gahvareh) -the grand father of the famous tambour maker Ostad Asadollah Gahvareh. 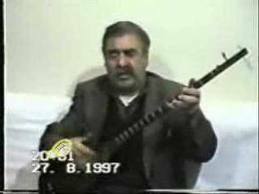 In order to excel his knowledge, Taher then attended lessons by the most notable Tanbour master Ostad Seyyed Vali Hosseyni. 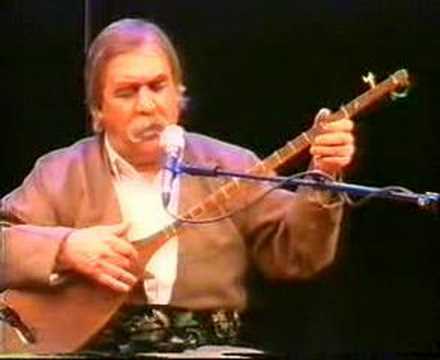 Taher Yarveysi is not only the most notable Tanbour player from Guran, the oldest region of the tanbour tradition is also the most recognised Ahle Haqq Maqam singer. Taher Yarveysi has taken part in several music festivals in Iran and abroad. Santoori appreciates any contributions towards the YARVEYSI TANBOUR PROJECT. The donations can be made in cash, medicine, services or by purchasing Ostad Taher’s publications. The cash donations will be paid towards purchasing quality medicine from abroad for Ostad Taher Yarveysi. You can also place orders for Ostad Taher Yarveysi’s hand made Tanbours through the Santoori’s website. Even though Ostad Taher Yarveysi is aged 71, he is still making the tanbours. Santoori describes the Yarveysi’s tanbours in the same light as master Asadollah Gahvareh tanbour, which are the most authentic tanbours made in Gahvareh, where the tanbour has its roots. Other ways to contribute and support the cause is by purchasing the Ostad’s publications or instruments which are his only source of income. Any of these would be a great gift for tanbour players and lovers. We at Santoori are very keen to support the YARVEYSI TANBOUR PROJECT. Please inform your family and friends about this good cause. We will be updating all our progress by emails, Facebook and of course through the website. If anyone has any other suggestions or ideas concerning our intention and project to improve the life of the last Yarsani Maqam singer, please do not hesitate to contact us. Our heart is open to anyone who can support and help this very important project.